Last week, The Hills invited me over with a bunch of other media personnel. 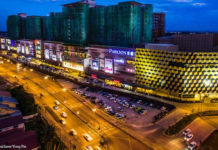 The idea of the meet was to introduce the new The Hills Kuching Food Haven as well as to inform the public of what the mall would be offering in the future. It started at 5PM at the food court which they call Food Haven. The new food court of The Hills is something worth to admire. It’s spacious, bright and modern. Personally, I felt the renovation did wonders to the Food Haven and I can easily put this as the second best air conditioned food court in Kuching, behind tHe Spring’s Food Bazaar. Food options at The Hills Kuching Food Haven. In fact, I do feel that if The Hills Kuching plays their cards right, the Food Haven could overtake The Spring’s Food Bazaar as being the best air conditioned food court in Kuching. While the number of food stalls are limited to only 12 at the Food Haven, options of food are plenty. The mixed rice variety was pretty decent. In fact, the 12 stalls I observed feature Kuchinginites favourite dishes such as mixed rice, Chicken Rice, Nasi Lemak, Laksa Sarawak, Ayam Penyet, mee kolok, pizzas, mee sapi and more! I was also impressed with the massive selection of cakes at the dessert stall and hope the Food Haven can maintain such massive options and quality in the future. A worker I asked told that the place is usually crowded during lunch hour since it was opened last December. The Food Lounge is sort of an extension of the Food Haven. I overheard someone say “It’s like a bigger Starbucks” when some of The Hills Kuching people were explaining the concept of the place. She wasn’t wrong in her perception. The Food Lounge had comfortable sofas, coffee tables, high chairs and lounge chairs that are surrounded with simple yet lovely decorations. I noticed empty bar counters which I believe would be occupied by food and beverage stalls once the Food Lounge opens. It was really something fresh in my opinion and I loved the concept and idea. If you frequent Starbucks, Coffee Bean and Tea, or even Bing!, you’d get the idea of the decor and concept. I didn’t check if the seats had power points, but if they did, that would be perfect! WiFi should be available too! Opened by the Alti-Dude Climbing Company, there’s different set of wall climbing difficulties for every individual at this section of The Hills Kuching. Currently rates are at a promotional rate, and it cost RM20 per adult to do wall climbing while kids below 15 get to do wall climbing at only RM12. Not sure about the duration you can stay on to climb, as well as the terms, but this is something interesting for those looking for adventure without leaving the city. When we visited the place, there was about 5 -8 people doing wall climbing. I am made to understand that operation hours are from 2PM to 10PM on weekdays, and 11AM to 7:30PM on weekends. They close on Monday. I honestly didn’t get what was said when we were brought to the fitness studio area which was an open space with a lot of mirrors. Due to that, I can’t say much about this section of The Hills Kuching. The Hills Kuching website however said that this section by Studio8 Fitness would be used for yoga, zumba, calisthenics or dance, and would be available for rent for instructors to conduct these classes. Maybe I’ll update this post when I’ve more information or when the place opens. When we were walking, one of The Hills Kuching officer made it clear that “The Hills is not a mall anymore”. I believe his statement reflects the changes that is happening to the space. 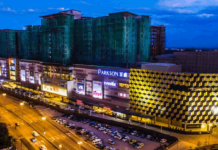 First of all, there would be a co-working space at The Hills Kuching opening in months to come. I am personally excited about this co-working space because The Hills Kuching in fact has the best location any co-working space ‘would die for’. I am also hoping I could rent one to be my ‘city base’, if the offer is right. Sushi King is still open at The Hills but I do feel it would make more sense to shift it closer to the Food Haven (Just a thought), and Karaoke centre K11 is now on the second floor. I was informed that Mr DIY would be relocating next to Thousand Ten Hair Salon. Unfortunately I was also told that Bing! Coffee would no longer be available at The Hills. There’s plenty of reasons to be excited for The Hills Kuching, and I do hope the crowd would start coming over. I can foresee that The Hills would be popular among working adults given its future plans. However, all this would depend a lot on how The Hills Kuching can sustain what they have planned for the long term, but I do hope they can. What I am sure is that those staying at Pullman Kuching would definitely benefit from the transformation of this space as it is just on top of The Hills. If you want to see more photos of The Hills Kuching, do check out my Facebook page. 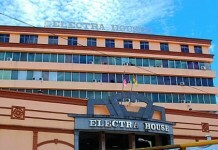 Electra House To Be A Hotel? Lucia John hahahaha baliklah selalu.. kelak kita lepak ctok..